We continue here to examine some broad, overarching realities concerning leadership development. 8. In our organizations today, we love specialization and compartmentalization. Consequently, it is common for us to delegate the task of leadership development to some “specialist” person or group – whether inside or outside the organization itself. We identify the emerging leader who needs to be developed and then send him to the “experts” to “do it” for us. However, if it is to be done right, the existing leaders themselves must do the teaching and developing of emerging leaders. They should not delegate this role to others. Leaders must personally act as coaches, role models, teachers and mentors. They must share their lives with those around them – their mistakes as well as their victories. True leaders are builders of leaders. Of course, as part of their general strategy of development, they may send the emerging leaders to a profitable training seminar or give them a good book to read, or receive advice or help from a consultant, etc., but they will not pass off the overall responsibility to anyone else. Leaders are best built by leaders. 9. Nevertheless, communities build leaders. It is not only the individual mentoring leader who is responsible for building the emerging leader. The entire organization contributes to the growth of every new leader. In a variety of ways, a healthy organizational community works together (albeit not always consciously nor necessarily well) to give the emerging leader the experiences, challenges, learning opportunities, role models, accountability, feedback, support, encouragement, etc. that he or she needs. Thus, one leader who wants to build another must take steps to establish and maintain the appropriate overall environment for optimal development. Developing leaders means working with the entire organization, and not just with the new leaders themselves. a. Genuinely care for people. b. Stay in touch with people. c. Maintain perspective on the real issues of life. 11. People are different; leaders are different. People grow and learn at different rates, in different ways, from different things. Thus, leadership development has to be individualistic (with consistent core principles). Each person is a unique tapestry of callings, strengths and weaknesses, and their developmental needs must be matched with developmental opportunities and approaches (and be consistent with organizational needs as well). This has several important implications. It means that leaders who build leaders must first know them. They must step beyond superficial acquaintance and the temptation to resort to routine “methods” of development. It is not enough for the mentoring leader to give the emerging leader “the book that we use for leadership training” and have him read it, and then ask him the prescribed questions. The mentoring leader, after taking the time to get to know the new leader in a variety of situations, must design a multi-faceted strategy of development that will work just for him. Over time, this strategy will need to be corrected and adjusted, perhaps completely reworked. This whole process will take considerably more time and effort than the usual “here’s the book or course we always use”method, but will yield far superior results. 12. This, in turn, means that one leader can only build a few other leaders. He cannot build thousands of leaders. As much as we might like to flatter ourselves that we can build thousands of leaders, it would be wise for us to remember that Jesus built only a handful and it took Him three years to do it! Leadership building does not happen on a production line. 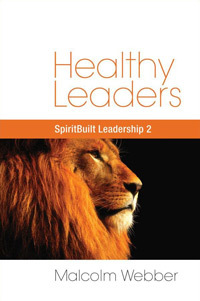 However, it is far better to build a few leaders right, than to build many leaders poorly. If we build a few good leaders, then they will build a few other good leaders each of whom will in turn build a few other good leaders. Thus, the multiplication effect will soon achieve the large numbers of leaders that we need. We must not continue to allow the overwhelming size and urgency of the great task ahead of us (e.g., “the whole world needs to be reached!”) and/or an exaggerated sense of our own capacities in this regard to dictate sloppy and insufficient approaches to leadership building. We must do what is necessary to build good leaders. Forget the production line! Let’s do it right! The next Leadership Letter will continue to examine certain fundamental realities of leadership development.